It was an ugly first four minutes in the game on Tuesday night. The Vols led Arkansas just 4-3 after four minutes into the game, and both teams had combined to make just three of their first 15 combined field goal attempts. 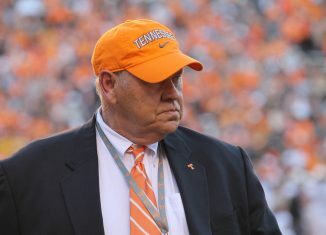 Then, Tennessee found their offense, and the game was put away quickly. 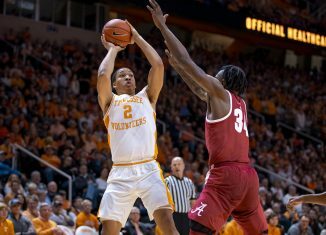 The Vols went on a 17-1 run after their early 4-3 lead, and that’s all they needed to separate themselves from the Razorbacks. 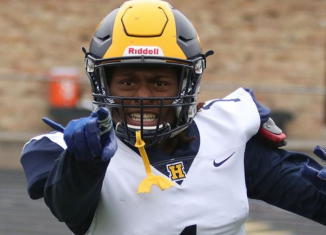 Tennessee would go on to score 55 points in the first half. No. 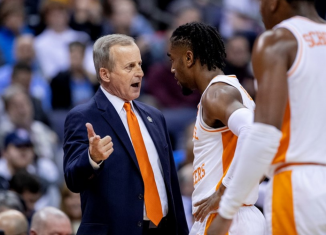 3 Tennessee (15-1, 4-0 SEC) extended their winning streak to 11 games with a 106-87 victory over Arkansas (10-6, 1-3 SEC) at home in Thompson-Boling Arena. Five different Vols scored in double figures on Tuesday night, and two of those players weren’t even starters. Arkansas ended up scoring 53 points in the second half, but most of those points came late when Tennessee already had control of the game. Plus, the Vols scored 51 points themselves in the second half. 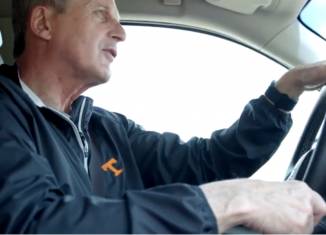 As a team, Tennessee shot 52.6 percent from the floor and made 35 of their 39 free throws. UT was also 11-of-18 from three. 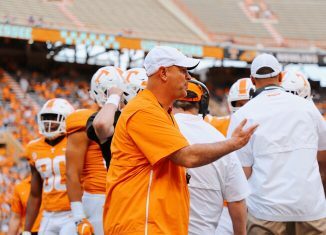 The Vols did have 17 turnovers with 10 of them coming in the second half, but that was arguably the only blemish in an otherwise phenomenal showing. 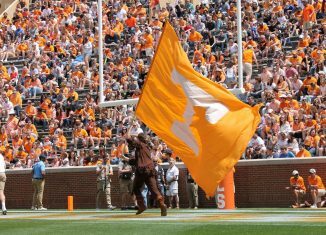 Tennessee’s 106 points are the most they’ve scored in a game since UT defeated UNC Asheville 124-49 on November 11th of 2009. It’s the most Tennessee has scored in an SEC game since a 110-83 victory over Georgia back in 2000. Here are our biggest takeaways from the Vols’ impressive win over Arkansas to improve to 4-0 in SEC play. Jordan Bowden has been on a tear to start SEC play, and that continued on Tuesday night with a nearly perfect performance from the junior guard. Bowden came off the bench and played 24 minutes, and what a 24 minutes they were. 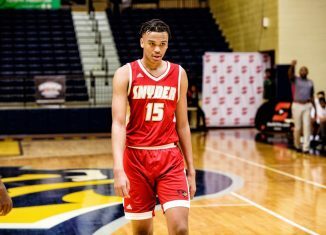 Bowden was almost perfect from the floor, hitting six of his seven shots, including making five of his six three-pointers. He even went 2-for-2 from the free throw line. The junior guard led the Vols for most of the game in scoring, but Lamonte Turner eclipsed him late in the game. Bowden still finished with 19 points on the night, and he’s averaged 19 points in four SEC games to start this conference season. Senior forward Admiral Schofield didn’t play much at all in the first half. He picked up two early fouls and only played six minutes in the first half. He didn’t score a single point before halftime and only attempted one field goal. But Schofield came out on fire to start the second half. It was clear Schofield didn’t like his lack of production in the first half of play, and he ended up scoring Tennessee’s first 14 points of the second half. 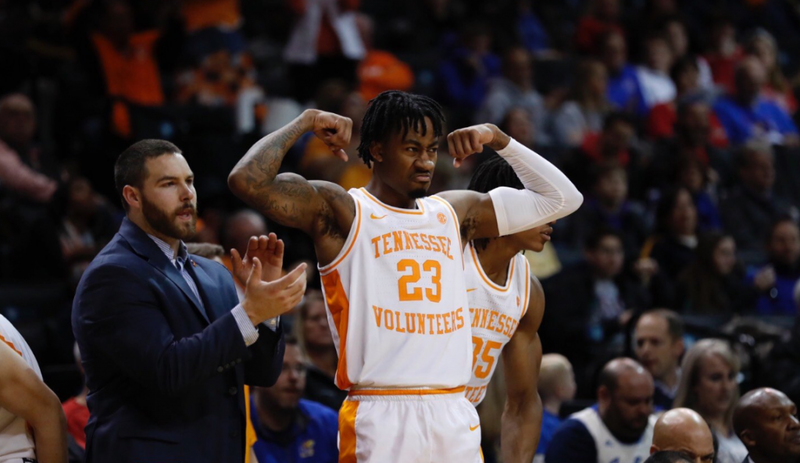 His 14-point streak was ended once Jordan Bowden nailed a three to put Tennessee up 72-45. Schofield finished the game with 17 points, five rebounds, and two assists in 24 minutes. He made seven of his 11 field goal attempts, including going 3-of-4 from three. 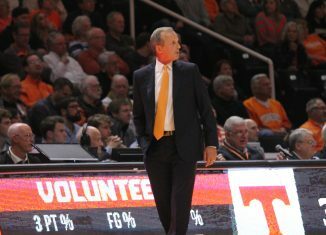 Tennessee’s bench was the difference-maker for the Vols on Tuesday night. The Vols got 50 points from their non-starters against Arkansas. Jordan Bowden and Lamonte Turner combined for 40 points, and they were Tennessee’s leading scorers. We already highlighted Bowden’s night, but Turner had an exceptional game as well. He scored a team-high 21 points and added two assists too. He made three of his four three-pointers and went 6-of-8 from the floor. He was also a perfect 6-of-6 from the free throw line. John Fulkerson added in seven points, four rebounds, three steals, and two blocks in 17 minutes, and he provided a ton of energy when he was on the floor. 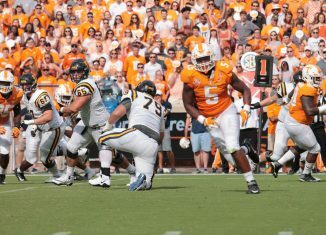 He sparked Tennessee in the first half to go on their initial run. Grant Williams started and played the most minutes, playing on the court for 33 minutes. He finished with 18 points and seven rebounds, and 14 of his points came from free throws. He was perfect from the charity stripe as well, incredibly making all 14 of his free throw attempts. Kyle Alexander was Tennessee’s other double-digit scoring, adding 12 points and five rebounds in 26 minutes. Daniel Gafford is projected by many to be a first round draft pick in the next NBA Draft. 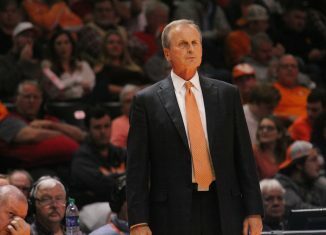 But Tennessee did a good job of not letting him be a factor and keeping him in foul trouble. Gafford picked up two fouls in the first half and was kept in check by a rotation of interior defenders. He ended up fouling out of the game in the second half and only played 20 minutes. The 6-foot-11 sophomore came into Tuesday’s game averaging 17.5 points and 9.5 rebounds. He finished the game against Tennessee with just 10 points and seven rebounds. With No. 1 Duke getting beat at home by unranked Syracuse in overtime on Monday night, No. 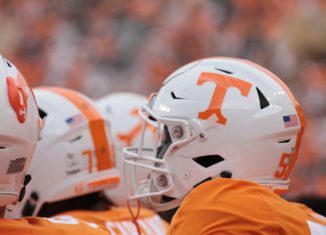 3 Tennessee could be in line for a big jump in the AP Poll next week. 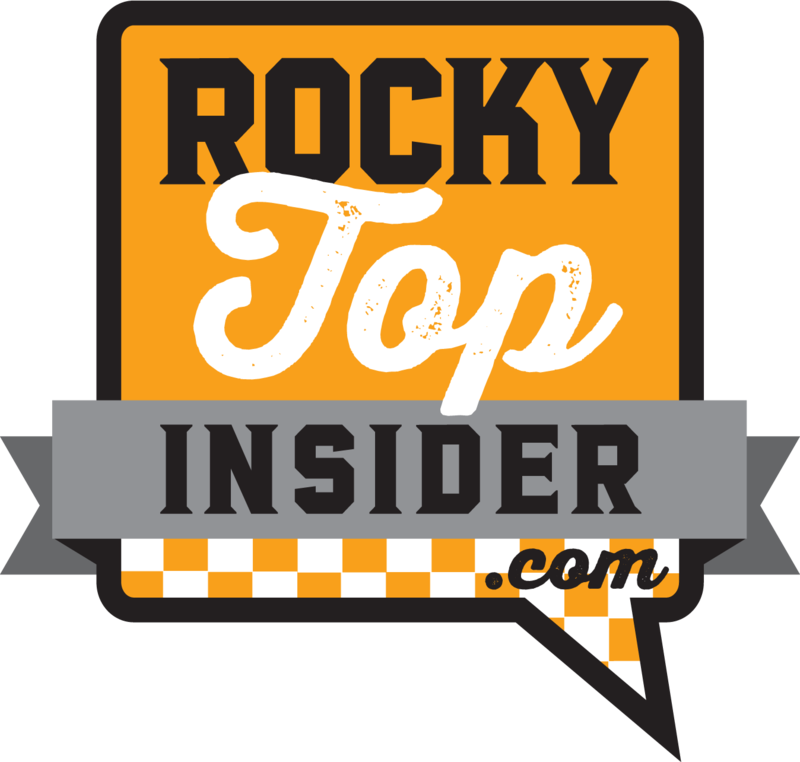 Tennessee’s blowout win over Arkansas will certainly impress voters, and they’ll have another chance to make a big impression on the media when they host Alabama on Saturday at 2:00 PM Eastern.